Enjoy local flavors with this unlimited food and drink buffet! 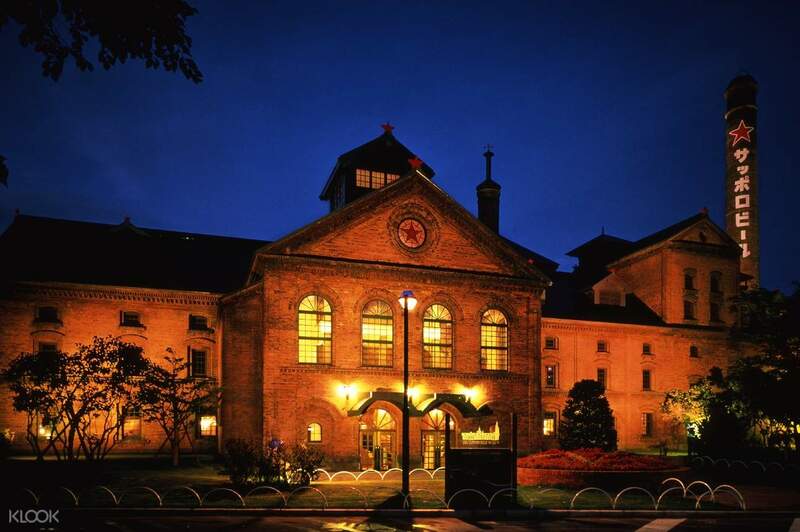 Dine at Sapporo Beer Garden, located in the Kaitakushi-kan building, a Hokkaido heritage site! Enjoy a buffet that features a variety of dishes, including Genghis Khan lamb, red king crab, snow crab and 20 other dishes! Taste the flavors of Hokkaido at Sapporo Beer Garden, a local restaurant that serves tasty food and drinks at unbeatable prices! 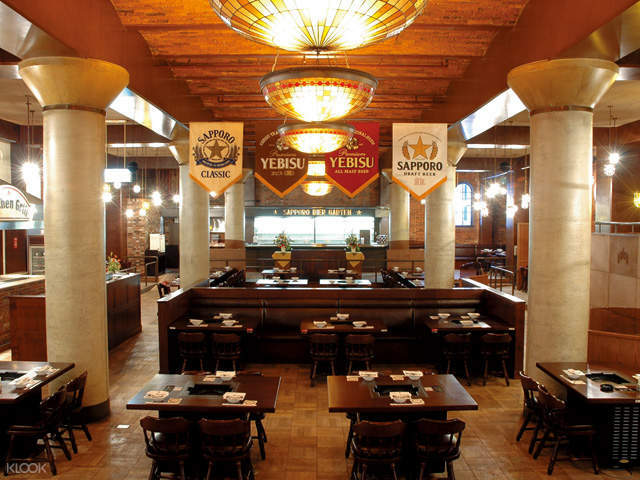 Located in the iconic Kaitakushi-san building, the sight of its shining red bricks and towering chimney takes you back to 1890 when it was built, giving the restaurant a nostalgic vibe. Savor Hokkaido's specialty dish, the Genghis Khan, for a taste of perfectly grilled lamb that's bursting with apple and lemon, or try to pair their delicious dishes with a glass or two of draft beer for a perfect combination! 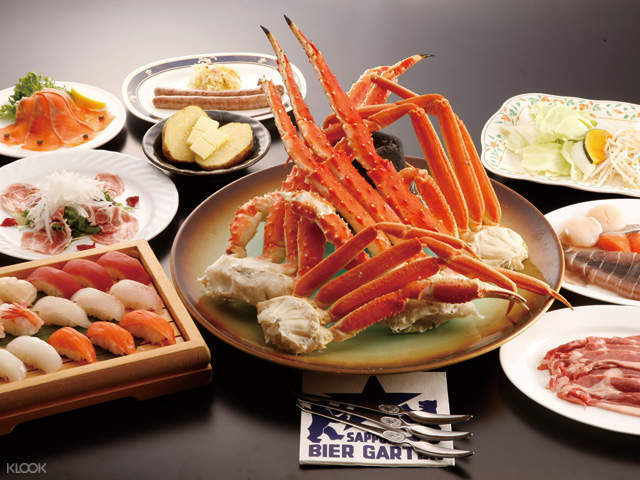 Sapporo Beer Garden also offers a 100-minute buffet, which highlights the best flavors of the area with Genghis Khan lamb, crabs, and sushi, as well as various refreshing drinks, perfect for a fun night out in Hokkaido. Go back in time and stop by Sapporo Beer Garden, located in the historical Kaitakushi-kan building! Try Sapporo Beer Garden's buffet and savor the taste of 20 different dishes and a variety of drinks! Such and awesome experience when in Sapporo! Our first time to try lamb, and it was so delicious! It didnt have any smell that most people would associate with lamb. it was so tender and juicy. and the servixe was excellent too! Unlimited food, drinks and dessert for 100minutes! Redemption was such a breeze too! Such and awesome experience when in Sapporo! Our first time to try lamb, and it was so delicious! It didnt have any smell that most people would associate with lamb. it was so tender and juicy. and the servixe was excellent too! Unlimited food, drinks and dessert for 100minutes! Redemption was such a breeze too! Best crabs I’ve ever had! Wonderful buffet experience. Great with friends and family especially of you love seafood! The lamb was superb I didn’t know I would like it that much. You call also order unlimited sushi, vegetables and the best of all unlimited sapporo only draft beers!!!!! 2 hrs is just enough to enjoy the buffet. Will definitely comeback with family and eat more crabs! Use the Sapporo 88 Loop or 188 bus to reach the Sapporo Beer Garden from either Odori Station or Sapporo JR Line. 210 Y per ride. Best crabs I’ve ever had! Wonderful buffet experience. Great with friends and family especially of you love seafood! The lamb was superb I didn’t know I would like it that much. You call also order unlimited sushi, vegetables and the best of all unlimited sapporo only draft beers!!!!! 2 hrs is just enough to enjoy the buffet. Will definitely comeback with family and eat more crabs! Use the Sapporo 88 Loop or 188 bus to reach the Sapporo Beer Garden from either Odori Station or Sapporo JR Line. 210 Y per ride. The restaurant is very clean and tidy. We had an enjoyable meal there. A lot of food was included in the package. We were all super full afterwards. The services there were superb. There was a young waiter who was very friendly and helpful. Will definitely recommend it to my friends. The restaurant is very clean and tidy. We had an enjoyable meal there. A lot of food was included in the package. We were all super full afterwards. The services there were superb. There was a young waiter who was very friendly and helpful. Will definitely recommend it to my friends. Definitely must eat in Hokkaido. Abundance of good food and alcohol! Will come back again to feast if I’m returning back to Sapporo! Cheers! Definitely must eat in Hokkaido. Abundance of good food and alcohol! Will come back again to feast if I’m returning back to Sapporo! Cheers! staff were prompt and efficient. food was okay. it wasn't that bad inside the restaurant, just when stepping out of the restaurant the lobby was filled with BBQ smoke. staff were prompt and efficient. food was okay. it wasn't that bad inside the restaurant, just when stepping out of the restaurant the lobby was filled with BBQ smoke. You check in at the counter and you are ushered to the Great dining hall. Service is prompt and the variety and taste of the free-flow food and drinks is good. They provided you large bags to wrap up your bags and jackets and aprons too. The Christmas atmosphere is enchanting, worth every repeated visit. You check in at the counter and you are ushered to the Great dining hall. Service is prompt and the variety and taste of the free-flow food and drinks is good. They provided you large bags to wrap up your bags and jackets and aprons too. The Christmas atmosphere is enchanting, worth every repeated visit.